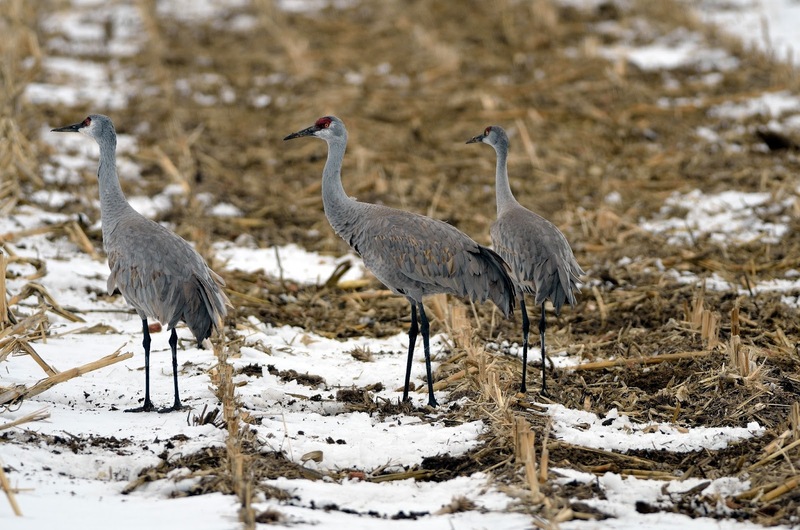 The Cranes are returning to NE. Made my way to Grand Island - Kearney yesterday. Not a lot of birds yet, but they are there. What an amazing sound these birds make. This little family was feeding in this field. They were surprisingly friendly. Worked these guys for a good half hour. Fun stuff. 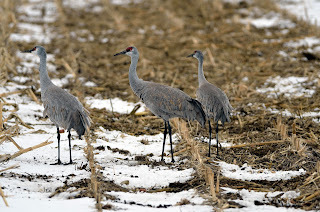 If you are a wildlife photographer and you have never been to NE for the greatest wildlife migration in North American - then you are missing out. It is going to get hot and heavy in the next couple of weeks with as many as 500,000 cranes in the area. Bring your long lens and have fun.